Eighty five percent of CV disorders are asymptomatic for years. In most cases heart disease can be identified before it is symptomatic and slowed, halted, or reversed. SonoNet has a team of medical imaging specialists who devote themselves to bringing the best evidence based medicine to patients. through physicians like you. Their goal is to help you separate wellness from disease enabling you to treat diseased hearts with the best cardiovascular care. This team makes SonoNet unique among in office medical imaging services because of the level of experience and expertise these specialists offer. We have assembled some of the experts in the medical imaging field by using digital image transfer to focus their experience on your patients. The SonoNet interpreters diagnose and recommend evidence based treatment through such tools as our “Echo consult” that has good clinical outcome data. 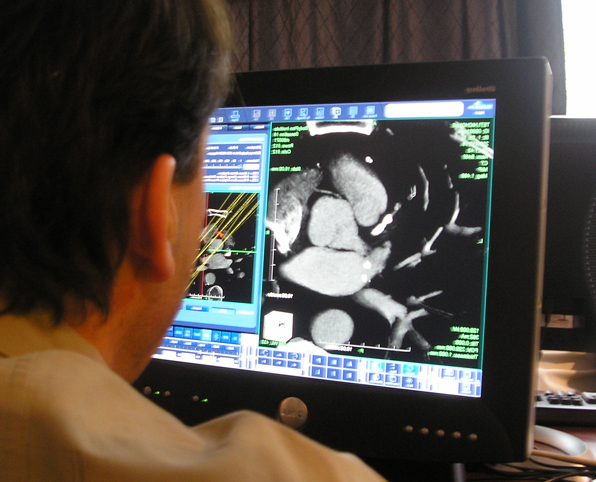 Our Team consists of Radiologists and Cardiologist with both Clinical and Research Expertise. James Seward MD - Cardiologist that has been the Director of all three Mayo Echocardiography Laboratories since their origin. He is an expert in pediatric and adult echocardiography. Jim is clinician in the Mayo model of researcher, innovator, inventor, author, and teacher. While with Mayo he developed the laboratories and teaching programs that are considered the world’s most respected which has produced many of the leaders in the CV ultrasound field. He has been responsible for the classification of cardiovascular diseases and their treatment. Currently he teaches more cardiologists through an international conference sponsored by Mayo Clinic and The American Society of Echocardiography for sonographers and clinicians. Jaque Barth MD - Cardiologist who in the 1960’s discovered the value of using the measurement of Carotid Intimal-Media Thickness (CIMT) to predict future risk of MI, CVA, and TIA. He first discovered how to digitize the intima and media of carotid arteries. Jaque directed many large multicenter population and drug studies which have shown that this carotid anatomy reveals a marker of the earliest atherosclerotic change in blood vessels. For over 30 years he has proven its value to predict a person’s increased risk for developing atherosclerotic CV disease. His work has been recognized by AHA-ACC as valid and clinically useful to be used in algorithms to identify risk, institute early treatment, and develop new algorithms for patient diagnosis and management. He is a world leader in this new technology, a clinician, and teacher. Jeffery Hellinger MD - Radiologist, the first Stanford trained Advanced Imaging Specialist (MRA, CTA) who became head of CV imaging at Children’s Hospital of Philadelphia. He is highly recognized as a teacher, clinician, researcher, and innovator. A major focus for Jeff is to bring imaging to primary care clinics. He is sought after worldwide to help the industry to teach cardiologist and radiologists to use imaging for clinical care. He has changed the field of CTA imaging in pediatric and in adult imaging. He has front line experience in clinical imaging but is a researcher and innovator working at reducing radiation exposure for adults and children which brings imaging techniques safely to a broader population of patients. Michael Mancina MD - Cardiologist was trained as an invasive coronary and peripheral interventionist, and non invasive cardiologist trained by the inventor of Echocardiography and Stress Echocardiography. He received special training with the first American Cardiologist to train with the Swiss inventor of balloon angioplasty (Gruenzig). He has clinical experience with one of the country’s most renowned cardiology groups. Prior to clinical practice he did vascular research that led to the development of a research model used worldwide to culture cardiac muscle cells for clinical pharmacologic research. Mike recognized the advantage of early diagnose of CV risk and valued the ability of non-cardiologists to treat their patients who are in the early stages of CV disease. He has been a clinical educator and directed the development of SonoNet, bringing the tools of CV imaging to clinical offices outside the fields of cardiology and radiology. Neil Kramer MD - Cardiologist that has been the Director of the vascular ultrasound laboratory of Banner Heart Hospital in Phoenix, Arizona. He was a pioneer in cardiovascular ultrasound having trained with the inventor of modern echocardiography (Feigenbaum) and is respected for expertise in ultrasound of the cardiovascular system as well as invasive and interventional coronary artery techniques. Neil is able to integrate all of the diverse sciences in imaging to clinical care thus helping clinics to directly apply the use of imaging for better patient care. SonoNet is one of the largest mobile in office imaging CV services in the US. It is a nationally certified laboratory by the intersocietal commission on imaging known for setting the highest clinical standards. SonoNet is one of the first cardiologist directed laboratories with certification by ICAEL and ICAVL to perform both cardiac and vascular techniques in clinical medicine. SonoNet has focused on imaging for clinical practices where the need is greatest. SonoNet has been a pioneer in digital image transfer that allows high quality interpretation by expert’s from anywhere in the world.